What kind of jewelry does she already wear? Is she more classic or modern? Feminine or sophisticated? Does she wear more silver or gold? Do her pieces tend to be more delicate or chunky? Simple or ornate? Have these preferences in mind when you set out to shop. If you buy something similar to what she already likes, you can’t go wrong. 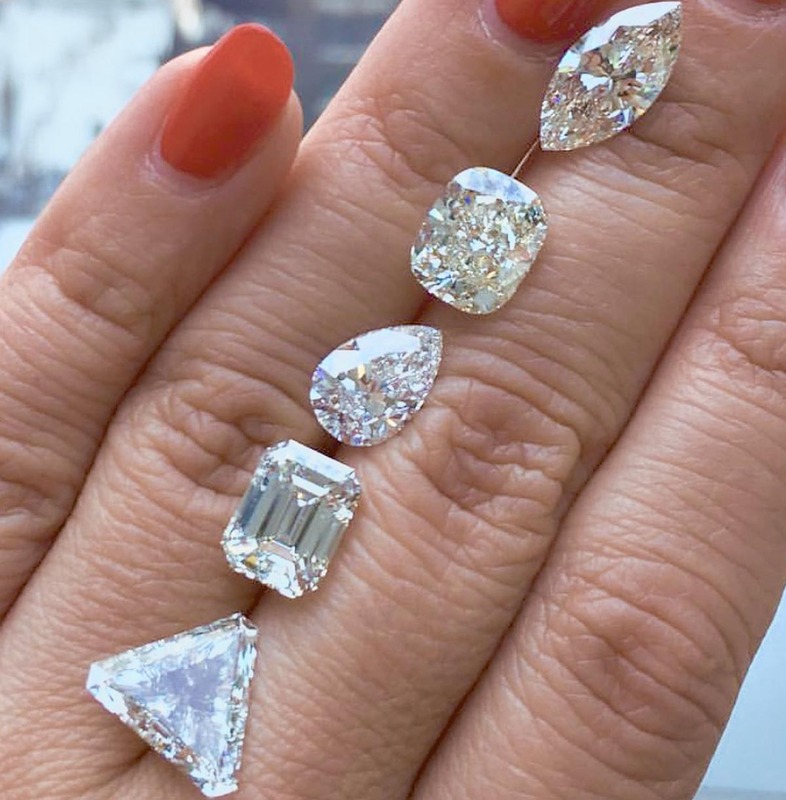 If she doesn’t wear rings, estimate in the following manner: The average ring size in the US is 6 (based on the ‘average’ US female being 5’4″ tall and weighing 140 lbs.) If she’s more slender, or fine boned, her ring size is probably in the 4 1/2 to 5 1/2 range. If she is heavier, larger boned or taller, her ring size is probably in the 6 1/2 to 7 1/2 range. It’s always better to buy a ring a bit bigger than you think she’ll need, because sizing a ring down is much easier than increasing its size. Are her preferences hard to pin down? Consider buying an unset diamond. If you choose the diamond first and have the setting made later, you can include her in selecting the style and final details of the ring (always a good idea) and avoid the awkwardness of choosing a ring that’s more to your taste than hers. – She will be wearing this ring 24/7 every day of your married life. It will need to go with everything from jeans to evening wear. If you’re uncertain about her shape preference, it’s sensible to stick to the classics. They became classics because they appeal to most people most of the time. 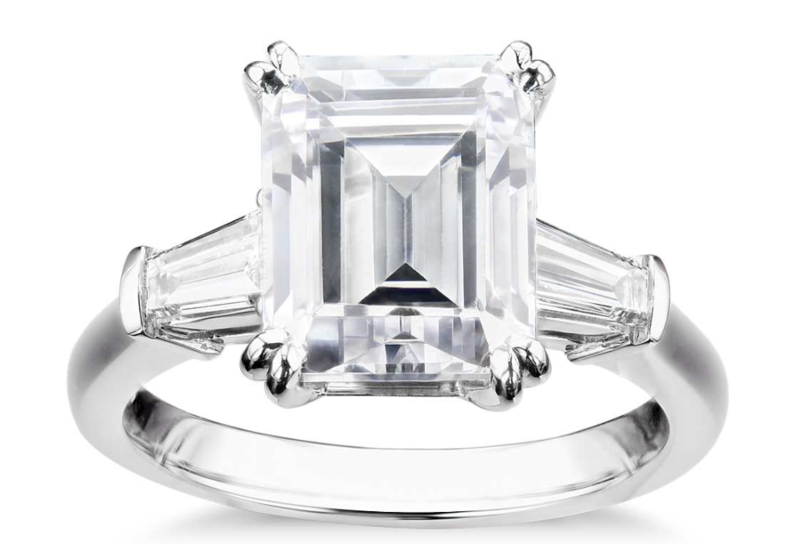 – Cutting styles with fewer facets, such as emerald cut or rose cut, require higher clarity. – Certain shapes pair more successfully with other gems in multi-stone rings. Round, Oval and Marquise all work well. Pear and Heart shape are more challenging. – If she prefers clean, modern lines in furniture, for example, it’s likely she’ll react well to the same aesthetic in Rectangular or Square shapes, like the Emerald Cut or Princess Cut. If she tends towards the traditional, a round shape rarely misses. More bohemian types tend to favor more unusual shapes, like Trilliant or Marquise. Solitaire – A single stone. 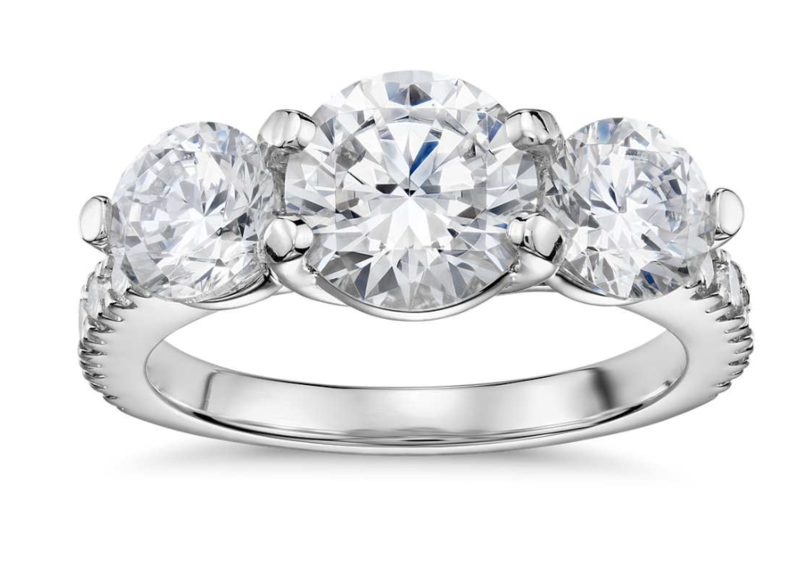 Still the most popular choice in engagement rings. The head secures the diamond. Prongs allow the diamond to catch the most light. 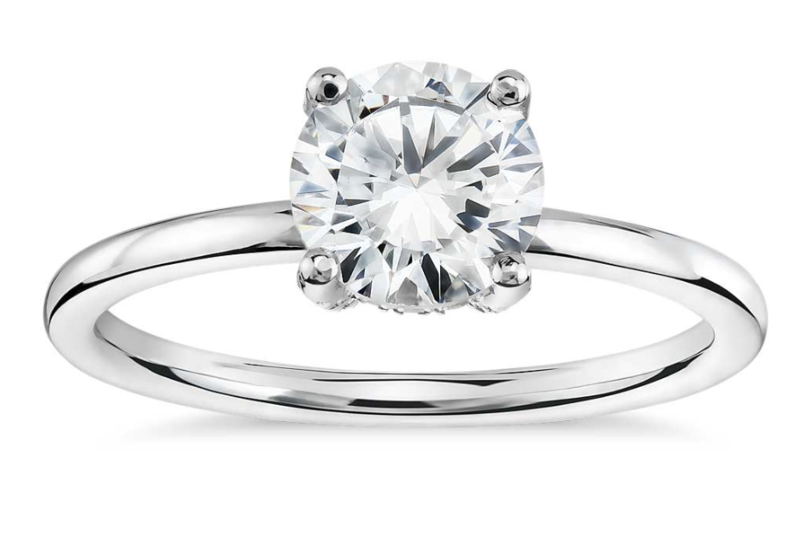 A four-prong-setting shows more of the diamond, but a six-prong setting is often more secure. Sidestone – Diamonds or other gemstones, flank the main stone for additional sparkle or color. Popular sidestone settings include ‘channel’, which protects stones by keeping them flush, and ‘bar-channel’, which allows more light to enter the sidestones. As to actual setting design, consider her lifestyle, and how well a certain setting will fit into it. If she’s more active or outdoorsy, look for lower profile, less ornate, more sturdy choices, which are less likely to get knocked or caught on things. If she’s more of a glamour girl, look for statement settings, with a higher stone profile and more intricate ring detailing or unique motif.